Following Permatang Pauh MP Nurul Izzah Anwar’s announcement on her resignation as a member of Public Accounts Committee (PAC), Economic Affairs Minister Dato’ Seri Mohamed Azmin bin Ali launched an ‘attack’ on Nurul Izzah via his Twitter page without mentioning her name. 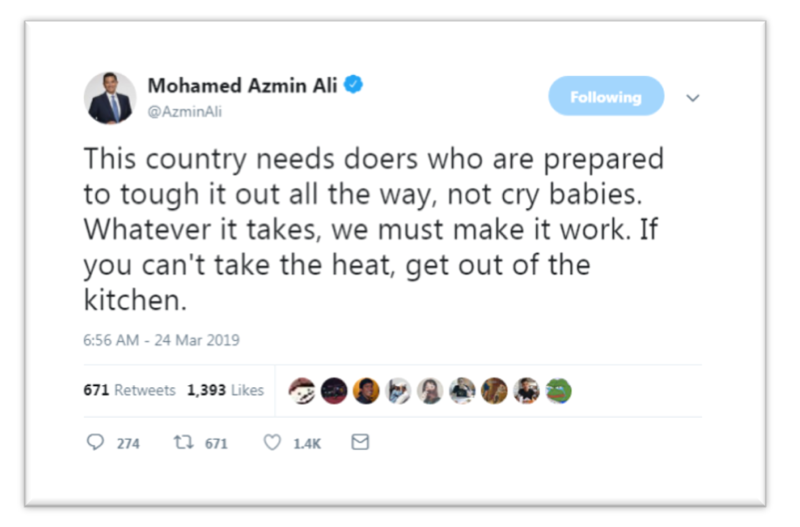 In a tweet posted on March 24 after Nuruk Izzah resignation, Azmin tweeted and pointing finger at “crying baby”, remarked that “if you can’t take the heat, get out of the kitchen” which implied “if she could not carry the burden, she should leave the political scene”. In addition, on the same day, Azmin posted another tweet that is believed to be the ‘sequel’ to the first ‘attack’ on Nurul Izzah. After the mother of all election (GE-14 as claimed by Najib Razak), Rafizi Ramli posted a picture of him along with Nurul Izzah and former Youth and Sports Minister Khairy Jamaluddin having lunch together. Their friendship seems to be intact, Khairy Jamaluddin voiced out his support towards Nurul Izzah resignation from PAC through Twitter. Prior to this, Nurul Izzah stepped down from her position as vice-president of People’s Justice Party (PKR), a decision that left Azmin questioning her reasons. In the past Nurul Izzah show her gratitude to Rafizi and Khairy, but not Azmin. 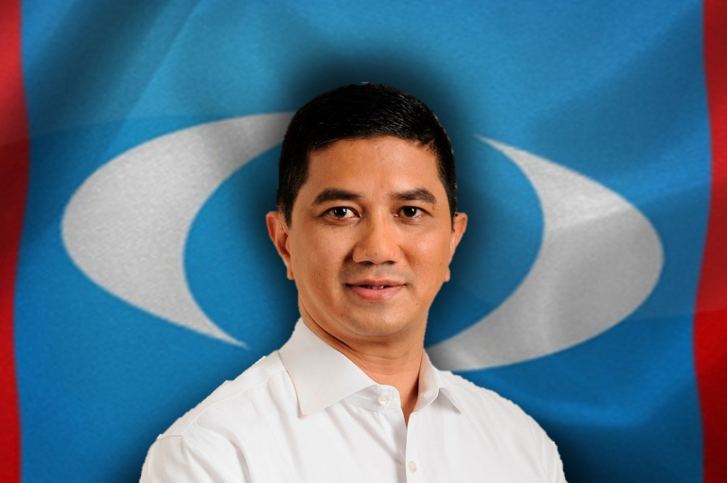 Rumour said that Azmin Ali and Rafizi Ramli has split PKR into two separate camps during the party election. Nurul Izzah’s resignation seems to verify the rumour crafted by speculators.